What Is the Difference Between Masonry and Concrete? How Will Pressure Washing Help Maintain Your Building and Grow Your Business? What Are the Main Signs That It’s Time for Concrete Restoration? Do Commercial Buildings Have Gutters? What Is The Process Of Building Restoration? Can Snow Cause Problems with Your Roof? Is Your Business in Need of a Roofing Makeover? What Is Preventive Roof Maintenance and Why Would You Need It? The Benefits of Slate Roofing – What Are the Reasons You Should Get a Slate Roof? When Is Building Restoration Needed? The Benefits of Brick: Should You Consider Brick for Your Home? Is It Important to Waterproof Masonry? When Might I Need An Emergency Roof Repair? How Can Exterior Pressure Washing Help My Building? Do You Really Need Gutters with Leaf Guards? 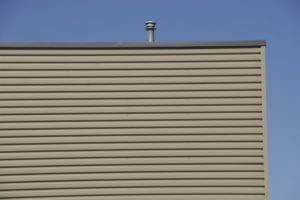 Should You Consider Installing Composite Siding? What Is Roofing Flashing For? 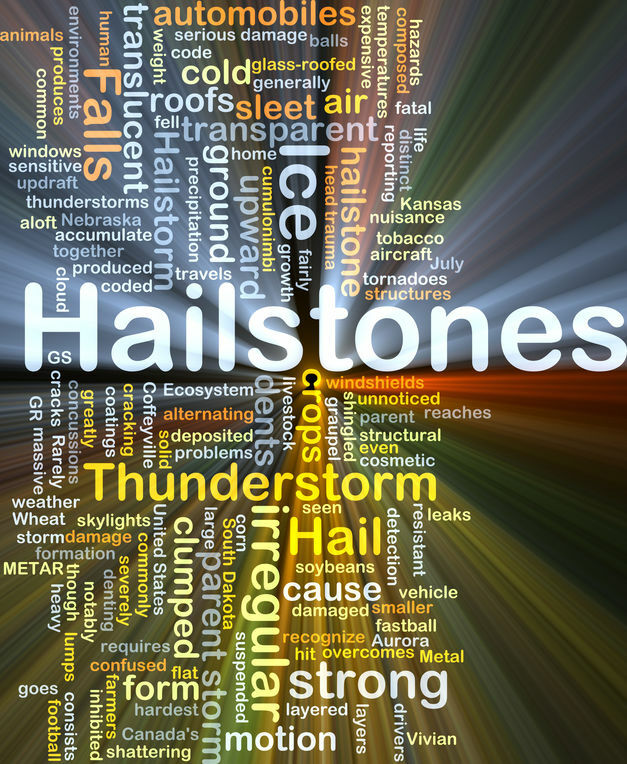 Do You Have Hail Damage on Your Roof? 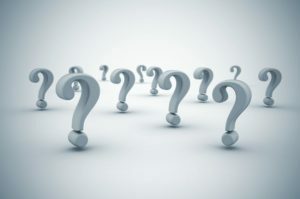 What Are the Top Real Estate Areas Connecticut Has to Offer? Why Should You Install Concrete Siding? What Are the Advantages of Gutter Screens? WELCOME TO NEW ENGLAND MASONRY & ROOFING CO.
Fixing chips – concrete paste is what you need for these repairs, too. The process is essentially the same as in the case of cracks – use the paste to restore the shape of the brick or of the stone, then wait for the repaired section to dry and then paint it to restore its appearance, too. Nowadays, manufacturers of roofing materials offer a long-dependable choice of products for flat roofs. 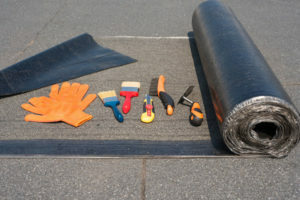 Since most commercial roofs fall into this category, we are going to offer you more details about some of the best materials for them, and then, of course, you can ask a Connecticut commercial roofing professional advice as well. Standing seam roofing refers to metal roofing systems for flat or low-pitched roofs. 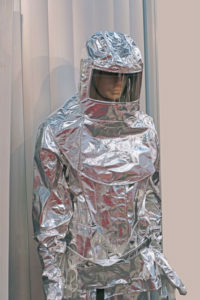 Nowadays, most of them are made from corrugated galvanized steel coated with zinc. 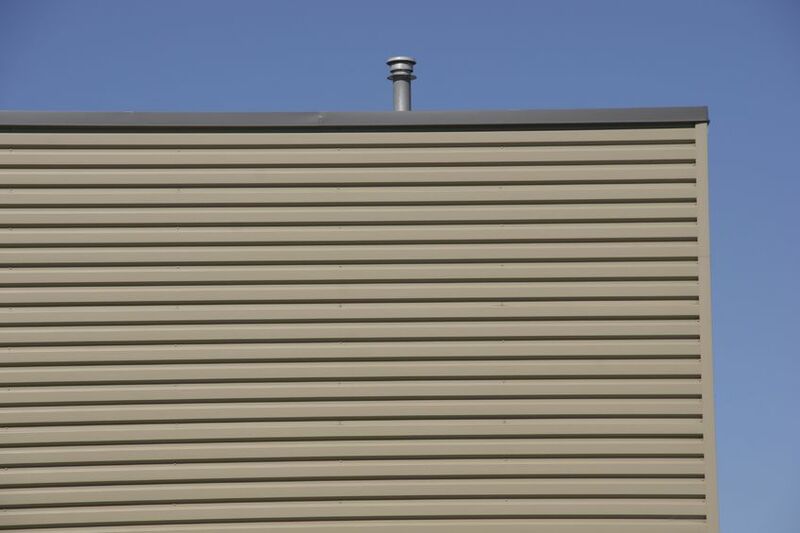 Other metals used in commercial roofing applications include aluminum, copper, tin and stainless steel. Metal roofing comes with many benefits that make it one of the best choices: durability, longevity, resistance in any weather conditions, resistance to impact and fire, low operating costs and reflectivity. 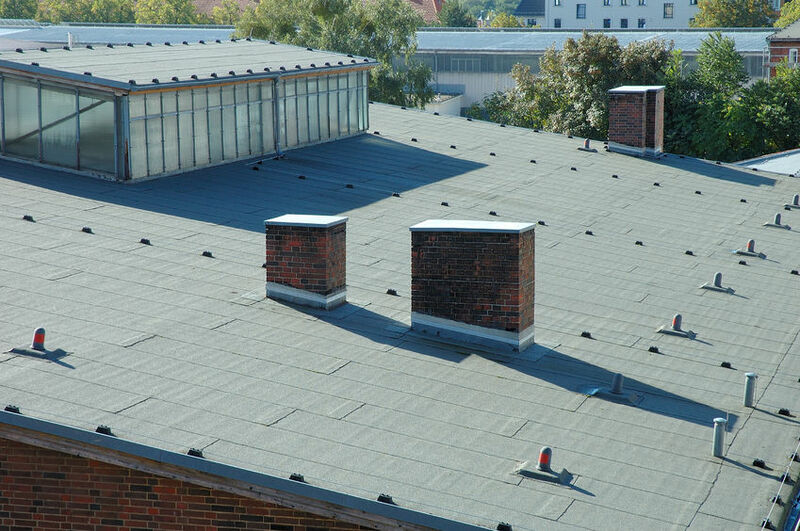 These roofing options are composed by asphalt (bitumen) and felts reinforced with glass-fiber or organic mats. This combination of layers creates a durable roofing membrane, very redundant and providing immediate protection. 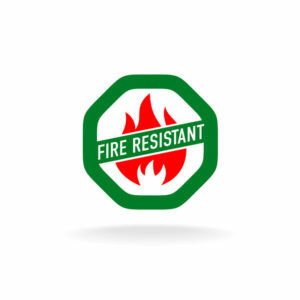 BUR systems are resistant to stress, thermal shock, punctures and provide superior fire resistance. These are made from modified asphalt (asphalt combined with a plastic or rubber ingredient), which provides increased flexibility, strength and stability. Modified bitumen membranes are installed as multi-ply systems, using different methods that ensure their excellent waterproofing property. We cannot possibly know if all commercial buildings have gutters, but one thing is sure: commercial buildings need gutters, just like residential buildings. Without them, water will flow down along the walls, damaging their structure, the siding materials, causing discoloration and altering the overall aspect of the building. This would be quite bad for a commercial building, which relies on creating a positive first impression to clients and customers. Most business owners are aware of the benefits offered by a roof drainage system; as such, gutters can be seen in commercial buildings, just like in residential buildings. However, they are a bit different. First, in the case of commercial properties, building code requirements are a bit more stringent and may affect the type of material gutters are made from, as well as their design. 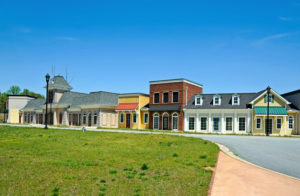 On the other hand, commercial properties have different needs compared to residential properties. The most popular material for home gutters is vinyl, but it is typically too feeble for the needs of a commercial building. Commercial gutters are made in aluminum and steel, and their capacity is higher than the standard 5-inch gutter used on most residential buildings. Considering their size, commercial gutters should be protected with guards designed to keep away most of the debris, call on the professionals at http://www.nemasonry.com/new-england-roofing for installation pricing and services. One of the most demanding (but realistic!) evaluations of a roof is related to its resistance to snow buildup, because in this context happens everything that may affect a roof during the cold season, from the weight of the deposited snow layer, to wind, low temperatures, ice formation and so on. In these harsh meteorological conditions, one can best identify the soft areas of a roof, vulnerabilities that can make the roof break, as well as its potentially existent problems. 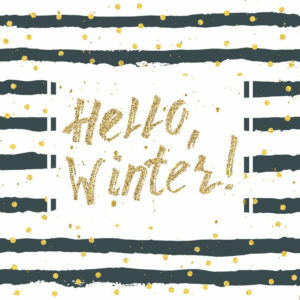 This subject of snow buildup is often debated from the perspective of both the roof coating material and its structure. Many manufacturers of lightweight roofs claim that the low weight translates into a less expensive hinge. However, this apparently correct logic does not apply in a climate with massive and periodic snowfall. In this case, the structure of the roof must be thoroughly consolidated, taking into account the maximum values ​​ that precipitations can reach. Snow deposits can be uniform on the roof`s surface, when the wind is absent or has low speeds (less than 2 m / s). When the wind exceeds 4 m / s, the snow is shattered and accumulates in obstructed or sheltered areas of the roof – and this situation may become critical. Heavy snowfall in a very short time is also very dangerous for a roof, because the weight of the snow is bigger than you would expect and can overload the roof, which may sag or collapse. In these situations, immediately call on New England Masonry and Restoration of Connecticut to have the professionals clear the now from your home’s roof. People frequently use the terms renovation, rehabilitation and restoration interchangeably, although they have distinct meanings. Renovation involves the transformation of an old and worn out building that requires repairs, more comfort and new amenities, or a recently purchased one, that you want to finish or customize. Rehabilitation consists in bringing a building to its original operating parameters, while restoring refers to making visible the original architecture and finishes. The restoration consists of a long series of complicated operations, execution times and budgets that sometimes can be bigger than in the case of building a new similar construction. This is because it`s not easy to respect the legal procedures, to find skilled workers, to choose good materials (respecting the budget), to follow the plan and to purchase the right furniture and decorations. High restoration costs frighten most people who own buildings of historical value because it is necessary to preserve, until the last detail, the architectural style of the past and all the old elements that give personality and value to such buildings. The restoration goes beyond mere conservation and reveals the aesthetic values ​​of the building, which, for some reason or due to suffered degradations, were no longer visible. Restoration aims to restore the value of a building, and should be completed by a commercial roofing CT restoration company as soon as possible. Geometric designs for gardens – structured pathways that use clear, geometric shapes and natural or unusual colors are becoming the trend for stylish gardens of any size – the more rustic and irregular the flowerbeds seem, the more impactful the contrast with the clean shapes of the path. Surface erosion, ridging and blistering – also common on single-ply roofs. 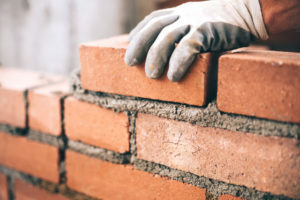 Increased value – masonry buildings have a higher resale value than buildings made from other materials and Connecticut masonry professionals are great at what they do. Masonry does not emit toxic gases when they become exposed to fire and they do not emit any volatile gases either, so the houses built from masonry walls are healthier than the homes that use other materials. 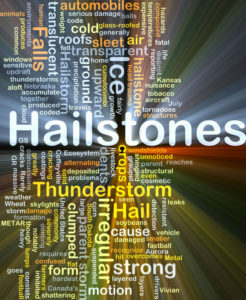 Choose the frequency of your maintenance sessions – roofing maintenance sessions should take place at 6-month intervals, but if your facility is located in a very windy or stormy region, you can schedule a detailed roof maintenance after each major storm to make sure that any problem caused by the storm is fixed in a timely manner, see http://www.nemasonry.com/new-england-roofing. 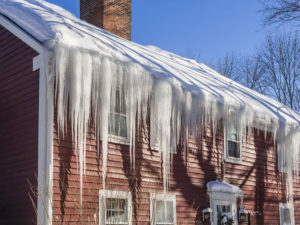 The formation of ice dams – icicles form when the warm air from inside the home rises to the roof and melts the snow on it, transforming it into water that runs down on the slope of the roof and freezes again. Ice dams are dangerous because they can harm the roof and they can tear or break the gutters to which they attach. 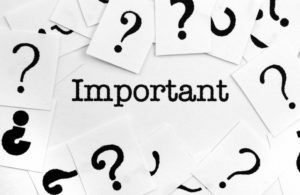 The same is true with roof issues during the winter for your commercial building, a commercial roofing CT contractor should be called immediately. Take care of any repairs and fortify the roof – make sure that all the roofing and gutter-related issues are fixed and the roof is fortified to be able to withstand the weight of snow. Fresh, dry snow weighs 20 pound per cubic foot and wet snow is even heavier, so you need a strong roof to stand up to that weight (and you will also need to remove as much of the fresh snow as possible right after the snowing stops). Building restoration is the process of bringing an old building back to its original state of beauty and functionality and usually the path to take in the case of buildings that have components of historic value, such as old flooring, stairs, windows and doors the original beauty and functionality of which could be restored. Plumbing – the plumbing also needs lots of attention in most old buildings – in most cases, the ducts and lines in very old buildings do not comply with modern building regulations and they are replaced with modern systems. There are building restoration experts such as http://www.nemasonry.com that are great at what they do. Wood restoration – restoring wood elements, such as solid wood flooring or solid wood doors the surface of which looks worn, but are otherwise in great condition is also a process that requires respect for the material, vast knowledge and experience in restoring old wood and dexterity. Built-up roofing, often referred to simply as BUR, is a type of membrane roof that consists of alternating layers of bitumen and fabrics for reinforcement. In most cases, the construction of a built-up roof starts with fastening a bottommost base sheet on the deck, but built-up roofs can be constructed without the base layer as well. 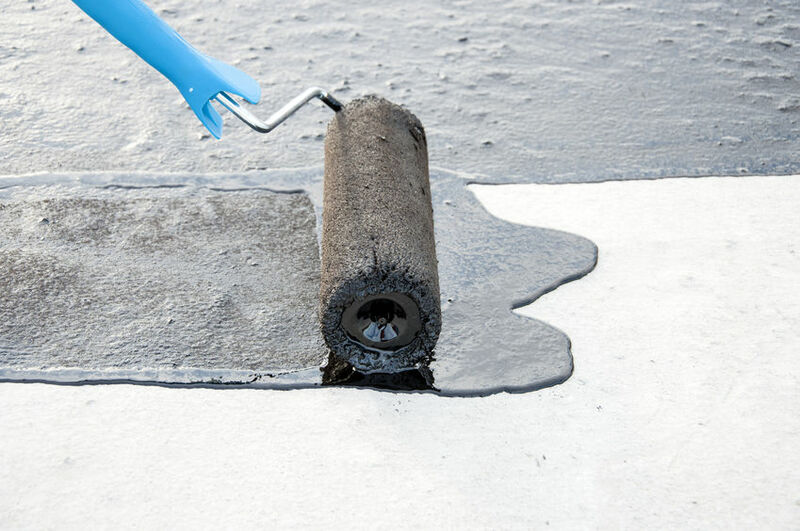 The bitumen most commonly used in built-up roofs is asphalt, cold-applied adhesive or tar, while the fabrics used between the layers of bitumen are usually made from roofing felt reinforced with organic or glass-fiber mats. During the building procedure, the bitumen is heated in some sort of tanker, then it is applied on the roof surface with the help of a mechanical spreader device, such as a mop. Each layer of bitumen is followed by a layer of felt until the desired thickness is achieved, after which the roof is covered in some sort of finishing material, such as gravel or mineral granules for improving the durability of the roof. 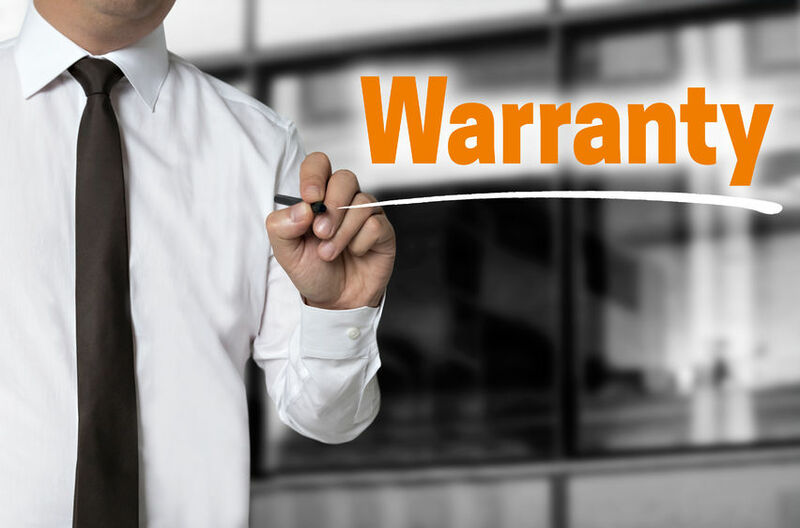 When purchasing a new BUR, there are two types of warranties that you need to consider: the manufacturer’s warranty that covers material defects and the warranty offered by the commercial roofing CT technician who performs the installation on the labor. When the roofing project is complete, it is recommended to obtain both documents. Debris falling off the roof – debris on the ground in the area that immediately surrounds the building is a sign of very serious damage that probably requires at least partial roof replacement. 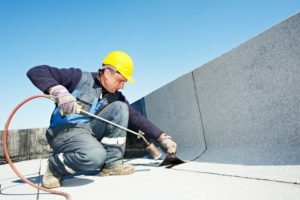 The best way to determine whether the damage sustained by your roof is still repairable is to call a professional commercial roofing Connecticut contractor and to hire him for an inspection and for a discussion about the best way to proceed. 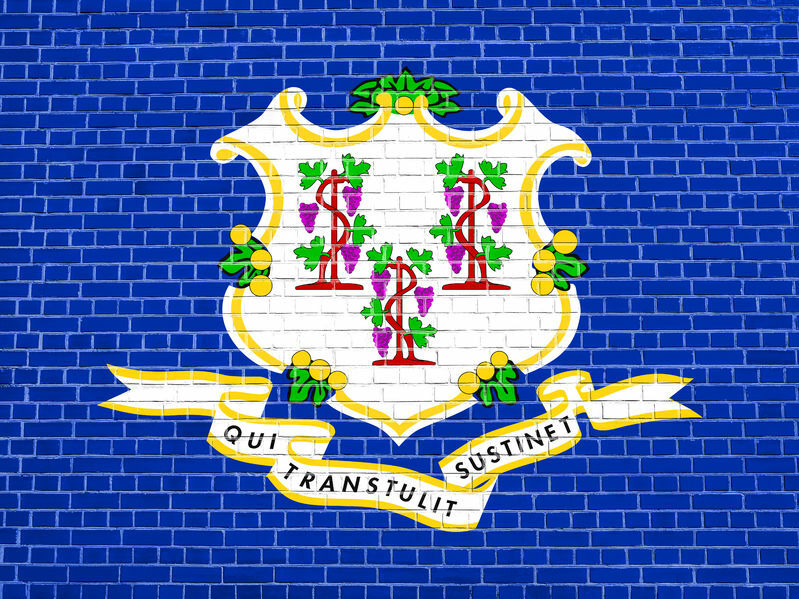 Connecticut is one of the oldest places in the United States where colonists have settled just a few hundred years after Columbus’ discovery of North America. It’s known for expert building restoration projects. The churches built here as well as many of the other buildings in the area include some of the oldest constructions known in modern US history, and they were built at a time when the founding of the United States of America was still almost 150 years away. Probably the oldest surviving stone building in the state of Connecticut is an American Colonial house that has been in the New England Museum since 1899. This house was built in the same year as when construction started for the Stratford Historical Society museum – 1639. Construction for the Loomis Homestead began just a year later, in 1640; while the Thomas Wheeler House and the Comfort Starr House came shortly afterwards, in 1644 and 1645. Although most of the oldest surviving houses and buildings in Connecticut are made of stone, there are rare exceptions, and the Loomis Homestead is one of them. It is, in fact, the oldest wooden house in the state. Many of these buildings have been renovated and redesigned throughout the years. The best example is the Stratford Historical Society museum, which received a makeover as early as the 1700s, with many Georgian modifications that still stand today. 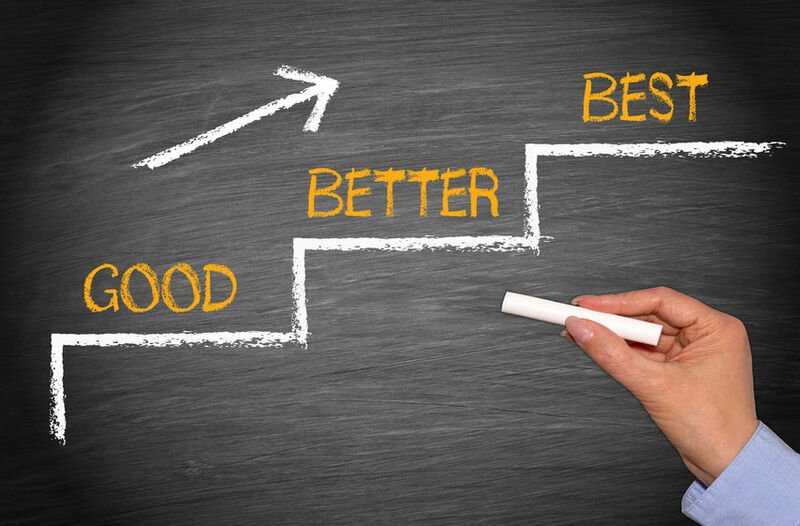 When it comes to getting the results you want in terms of the longevity of your roofing system, preventive roof maintenance can be extremely important. What it does is to give you a chance to avoid long term damage by addressing any roofing problems in time. 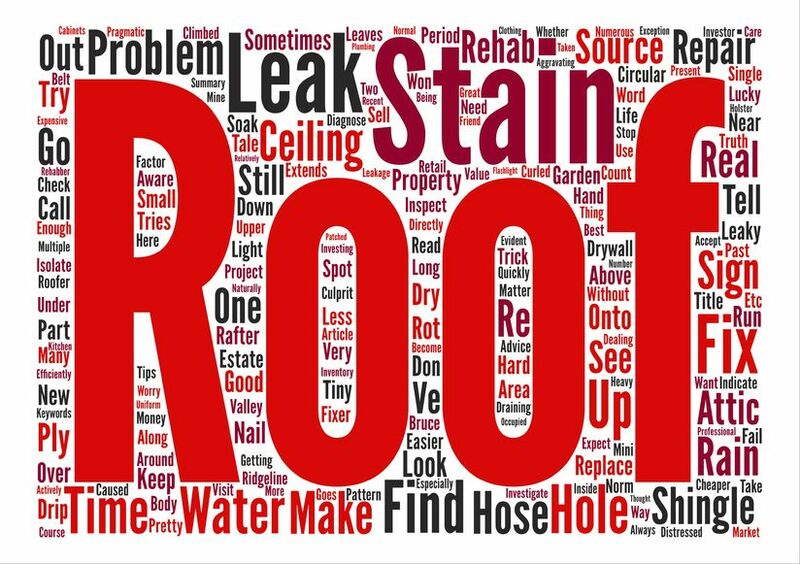 So, if your roof has a small and almost undetectable leak, the preventive roof maintenance methods you employ will discover it, and you can then solve it before any real damage is done. Preventive roof maintenance should also involve not only an accurate means of detecting problems by inspecting your roof. It should also involve actual techniques through which you – or the roofing experts you call – can work on preventing damage from even happening in the first place. Adding some coating and replacing cracked shingles should be part of it. Also, it’s important to get rid of any branches and debris that might have fallen on top of your roof, and to fix damaged gutters. The gutter system has to be kept clean to prevent ice dams from forming in the winter, and you should also get a set of gutter guards to further protect your gutters from any pests and stray debris. There aren’t any limits to the creative measures you can employ for the purpose of preventive roof maintenance. The best approach, however, should be a personalized one, from http://www.nemasonry.com/new-england-roofing, applied to the specific needs of your own home. There is a lot to be said about natural slate tiles. While it’s not the cheapest of materials to consider for a new roof, slate certainly delivers when it comes to appeal and quality. So let’s just take a quick look at some of its most impressive qualities. A slate roof is basically the pinnacle of what the roofing industry has to offer. 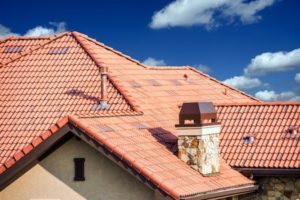 You can get a lot for your money, and the roof will practically not age for the first few decades, which is saying something when compared to other types of roofing. Most natural slate roofs can survive without needing too much work for at least five decades, and with proper maintenance they won’t need replacing for well over 100 years. Aside from their durability, slate roofing systems are exceedingly beautiful and diverse. You can buy slate shingle tiles that come in all shapes, sizes and colors, and many of the colors and designs available are completely unique and extremely appealing. They are usually used for residential roofing, rather than commercial roofing CT projects. However they can be used for any type of building that is structured to hold the weight. Finally, since they’re made from natural stone, slate tiles don’t give off any VOCs. They also don’t lose their color over time, so you don’t have to paint them, which further takes VOCs out of the picture, since no toxin-infused paint will be needed. Slate is quite possible one of the best choices you can spend money on when comparing it to other roofing materials. Its durability, beauty and natural appeal makes it easily one of the industry’s top products. Building restoration can mean different things. In the case of a historic building, restoration is performed to bring it to a known earlier state or aspect, being based on compelling evidence, such as old pics and descriptions. In this case, it has a rather preserving and rehabilitating purpose. On the other hand, when it comes to regular buildings, restoration is typically performed to strengthen their structure and/ or reverse the damage caused by fire, flooding or other disasters. 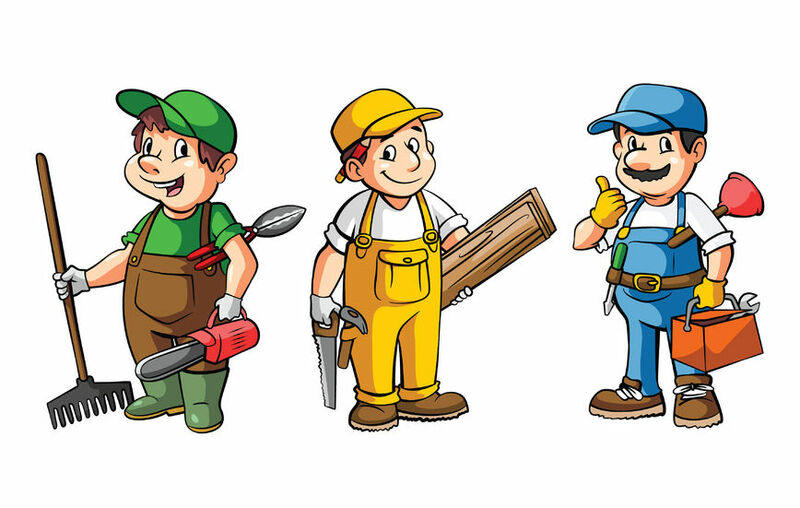 There are four restoration levels that builders use on different types of buildings and for various purposes. 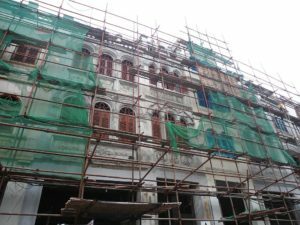 Preserving a building doesn`t involve adding materials or making repairs, but only performing some maintenance work to prevent further deterioration and making the building or targeted parts of it (roof, siding etc.) last as long as possible. Rehabilitation involves a bit more work than restoration, but it is still unobtrusive and performed as a preventative operation. It involves strengthening some elements which would otherwise allow deterioration. Proper restoration includes the previous two levels and also adds structural improvements , recreating missing features like masonry restoration and siding etc. Reconstruction is the most complex operating and is needed when a building or parts of it must be recreated, sometimes in a new style and with modern materials. As a commercial building owner, it is natural to want to get the most out of your property. The roof provides protection for the entire building as well as adequate interior comfort, being the first line of defense against temperature variations and weather phenomena. 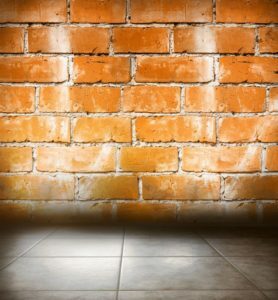 It’s also important to maintain the walls of your property by having Connecticut masonry repair done as soon as needed. In these circumstances, commercial building owners should take the necessary measures to maximize the roof`s performance, increase its lifespan and protect their investment. A proactive attitude should be based on partnering with a reliable roofer and scheduling periodic inspections and roof maintenance. 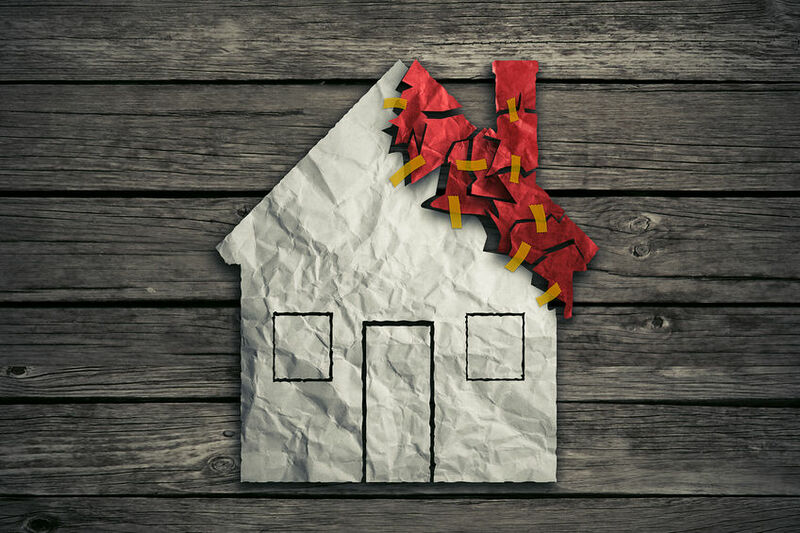 Even the slightest tear may cause significant damage, but roofing specialists know how to identify problems and vulnerabilities before they turn into a disaster that may negatively impact your business in terms of money and downtime. 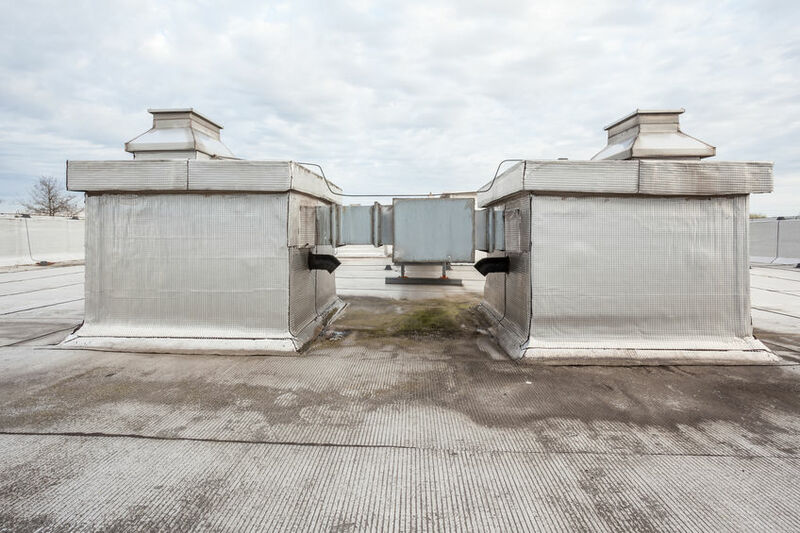 Routine maintenance of a flat commercial roof must include inspecting drains and downspouts and clearing potential blockages, as well as checking the roof cover, especially around roof penetrations and flashings to make sure they are properly sealed. “Liquid roofing” is a term that became more popular recently and, considering that there are surely many people who are unfamiliar with it, we are going to explore it a bit, in this article. Liquid roofing is the short version for “liquid applied roofing” and represents another form of coating. It is composed of different materials, such as aluminum or rubberized aluminum, acrylic, asphalt, cement etc., being elastomeric and extremely durable. This technology is used to add extra protection to a roof, thus being used on other types of roofing materials (asphalt, metal, modified bitumen etc.) 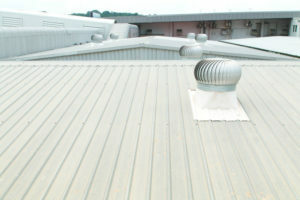 and suitable for all types of roof. Liquid roofing can help a roof withstand hail impact and other damage, it seals all penetration and may also include a reflective feature, for roofs situated in warm and sunny areas. 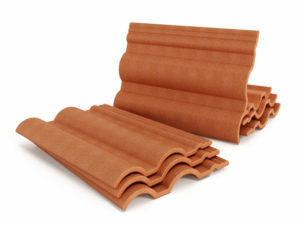 You can get all these in one product, find out more http://www.nemasonry.com/new-england-roofing! Adding liquid roofing is an easy and affordable method that brings all these significant advantages and also provides up to 25 years of life (this number depends on the materials used). One of the most popular forms of liquid roofing today is stone-coated metal roofing , which is so durable that it can pass on to the next generation. Building restoration can mean different things. In the case of a historic, building restoration is performed to bring it to a known earlier state or aspect, being based on compelling evidence, such as old pics and descriptions and should be done by top building restoration experts. In this case, it has a rather preserving and rehabilitating purpose. Preserving a building doesn`t involve adding materials or making repairs, but only performing some maintenance work to prevent further deterioration and makeing the building or targeted parts of it (roof, siding etc.) last as long as possible. Proper restoration includes the previous two levels and also adds structural improvements , recreating missing features etc. Plan the repairs on a day or in a period when the weather is fair and stable. You don’t want any sudden rainfall to catch you as you work on your roof. If you have employees working in the building, make sure to change their schedules, so that they don’t have to work too much while the repairs are underway. Buy or rent all your necessary safety gear. Unlike in the case of sloped roofing, flat commercial roofing surfaces don’t necessarily require some safety items, but you should always play it safe and get all the necessary equipment that your contractor would recommend. Read up on the type of roof you own, and then start with an inspection of the roof. That assessment will shed light on what the problem is, whether it be a leaky roof surface, improper installation, pooling or hail damage. 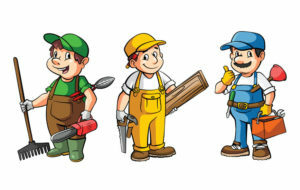 Work intelligently, and get advice from your local roofers. Even if you’re good with DIY work, this is a good idea, and it can be helpful to learn more from someone who has a little more hands on experience. Connecticut is a place that, despite being close to the busy East Coast, is quite tranquil and peaceful. If you just moved to Connecticut, you’re probably surprised at the quaint, relaxing countryside scenery and many green areas. Without a doubt, this state is one of the best places in the US to live in, and making your home look great here is quite literally like a walk in the park. Most places in Connecticut have houses that mirror or blend in well with nature. Trees, flowers, rocks and rivers are some of the main inspirations that local homeowners have when renovating their homes, along with the classical architecture that has made its mark on the entire region. When it comes to roofing, Connecticut is ripe with houses that have roofs that blend in well with the scenery including the commercial roofing CT business owners have installed, as well as with the bright colors, intricate finishes and straight lines of the exterior. Wood is not uncommon, and slate is also a favorite among locals, since one of the main aims is to have a roof that blends durability with fashionable aesthetics and a classical appearance. For the same reason, metal and concrete roofing are also quite popular here, and classical styles and trends will never go out of fashion when considering the main roofing designs that Connecticut homeowners opt for. Brick homes might seem old-school to some people, but they’ve definitely been making a comeback in recent years. Brick exteriors and brick walls function differently than conventional insulation, and can actually offer surprisingly good temperature control. Moreover, the style itself is considered to be quite appealing, especially with the new designs that contractors are able to provide these days. 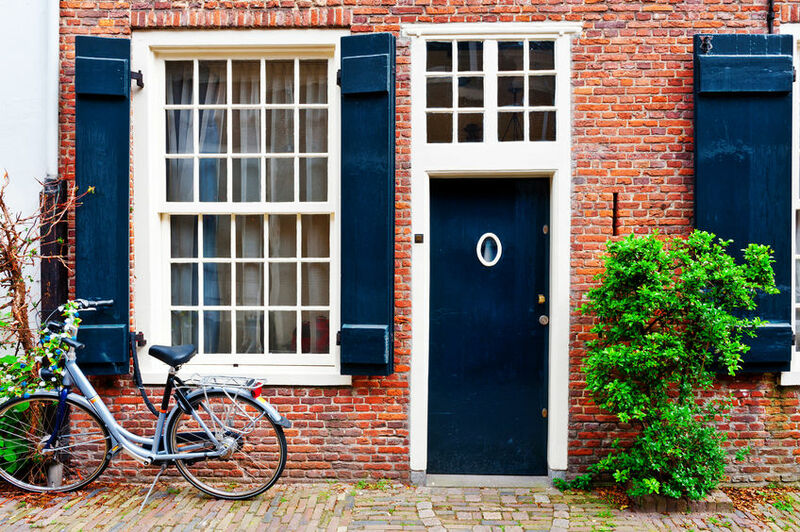 Brick can increase your home value to a great extent. If you install a brick exterior, people will love the solid looking exterior, but more so, they will enjoy the fact that brick homes look almost brand new after 25 years and require very little maintenance or the need for masonry restoration experts. Very little maintenance is required, and you don’t have to worry about painting, decay or termites. Another great advantage of having a brick home is that you can actually improve its appearance by painting it. Although brick and paint didn’t used to mix too well, things have changed, and these days it’s all about achieving that unique, permanent look. Since brick is almost impossible to revert to its previous look, once you painted it, that’s it! So be sure you get a color that you can really feel comfortable with. Brick is a great choice for a traditional exterior design, but with new trends cropping up all over the place, it’s not a surprise to see modern homes adopting a brick exterior. Considering its practical benefits, it’s not even a surprise at all that such trends are more and more popular among homeowners. Tiles are the most popular and commonly used roofing material and they fulfill all the conditions required by a solid, durable and aesthetically pleasing roof. Since the roof is one of those things that you cannot change or replace very often, you have to maintain it permanently. Here are some ways to take care of a tile roof. Theoretically, if you have roofing tiles made of a very resistant material such as metal, you must not worry too much about its maintenance. However, various objects can occasionally land on the roof, some of them brought by the wind, and they can damage the tiles. They must be removed quickly, and lose accessories must be fastened. One of the necessary preventative measures is installing insulation and high quality gutters, to prevent moisture and water infiltration. Most of the time, rainwater is sufficient to clean the tiles, but sometimes mold and vegetation may need to be removed manually, using special cleaning solutions and detergents. Man, weather phenomena, or the action of time can damage roof tiles. Periodic inspections must identify these issues, followed by replacing the tiles. 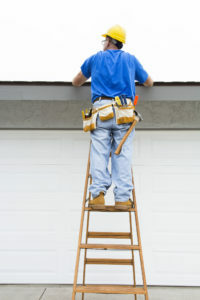 You can find good roofing companies at places like http://www.nemasonry.com/new-england-roofing. With the arrival of summer, some changes in the house are more than welcome. As the weather gets hotter, you can improve the comfort in your home with a few smart investments toward building restoration. The heat is one of the biggest problems of the summer, because it may cause major thermal discomfort, especially for people living in coastal Connecticut. Thermal discomfort during the hot summer days doesn`t go away by simply opening a window. An air conditioner will help you not just with lowering the temperature in your home, but also with decreasing the humidity level in the air. If your home needs a refresh of its look, you can take advantage of the warm months to start renovating. The renovation project doesn`t need to be extensive or involve too much effort on your part. For example, you can add a fresh layer of paint on the walls, purchase some new furniture or replace the flooring. Just a few details can radically change the appearance of the house. Purchasing new decorations for the interior and the exterior of the house has a great impact on its overall aspect and it is not such a huge investment. For example, you can buy a set of curtains or new blinds that keep the sun away from your rooms, or a set of cotton bed linen to sleep comfortably during the warm summer nights. 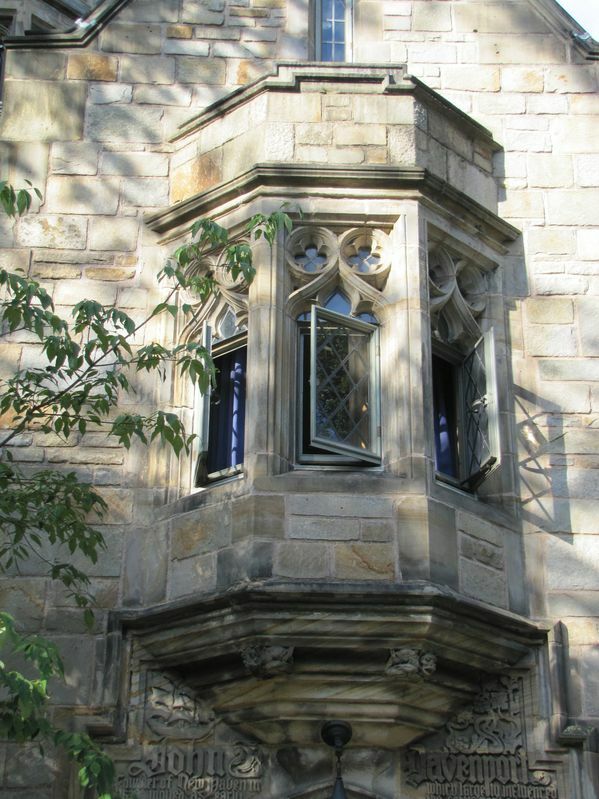 A building whose masonry is not waterproof may generate enormous heat losses; even a light wind can pull out the heat, even require the attention of masonry restoration Connecticut companies provide. When we talk about energy efficiency, we mean obtaining a controlled environment, with no airflow. The lack of waterproofing measures negatively influences the indoor comfort, building durability and energy efficiency. However, although waterproofing masonry is the right thing to do, there are many misconceptions about it, which makes it controversial and a subject highly debated. People`s concerns related to waterproofing masonry are the lack of air in the building and the fact that walls are not allowed to “breathe” properly. 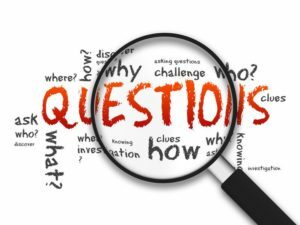 These concerns could be legit if we do not take into account proper house ventilation and adequate materials for waterproofing masonry. But what you need to know is that vapor permeability of a material and waterproofing do not need to exclude each other. A good quality waterproof material is permeable to vapors, so it will cause no moisture issues. Unfortunately, many people still refuse to take into account waterproofing masonry, considering it an obstacle to proper ventilation. What they do not know is that those air movements due to lack of waterproofing measures can have serious repercussions on various construction elements. Practically, when two air streams with different temperatures and levels of humidity meet, create a proper environment for condensation that destroys the insulation and even the building`s structure, over time. One of the first women roofers used to say that roofing is actually similar with laying out a dress pattern. Only the tools are different. We are not experienced to tell if this comparison is accurate, but the roofing industry could use the contribution of more women. It has been considered the domain of the men, just like many other industries that demand more physical effort. However, the truth is the absence of women in the roofing industry has little to do with the physical requirements, but it has everything to do with their education and the fact that they have been traditionally discouraged to involve in such domains and “guided” to fulfill more domestic and “feminine” duties. It is incredibly hard to raise above what tradition tells you to be, because tradition often means family, but this is exactly what some women do these days: they prove that they can fully qualify for construction industry and successfully perform various jobs, both easy and difficult, just like their male colleagues. Most importantly, they are the example that a woman can be happy and fulfilled through her job – and she has to be allowed and encouraged to enjoy her choice without being made responsible for the world`s decadence. Today, there are volunteer organizations that promote the presence of women in fields traditionally dominated by men and support their careers. New England Masonry and Restoration supports women in the roofing industry. Visit their website at http://www.nemasonry.com. The roof is the most vulnerable when it comes to water infiltration and it needs to be inspected regularly, in order to detect any small issue before it turns into a disaster. 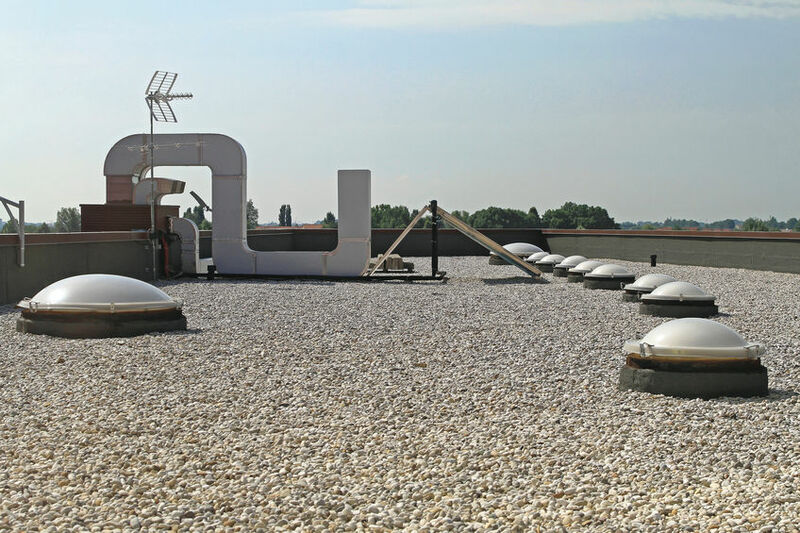 However, even with all the precautions, unfortunate things happens sometimes and you may need to call for emergency commercial roofing Connecticut services. After a natural disaster, whether it is an earthquake, a hurricane or a hailstorm, damaging consequences may affect the roof and must be addressed immediately. 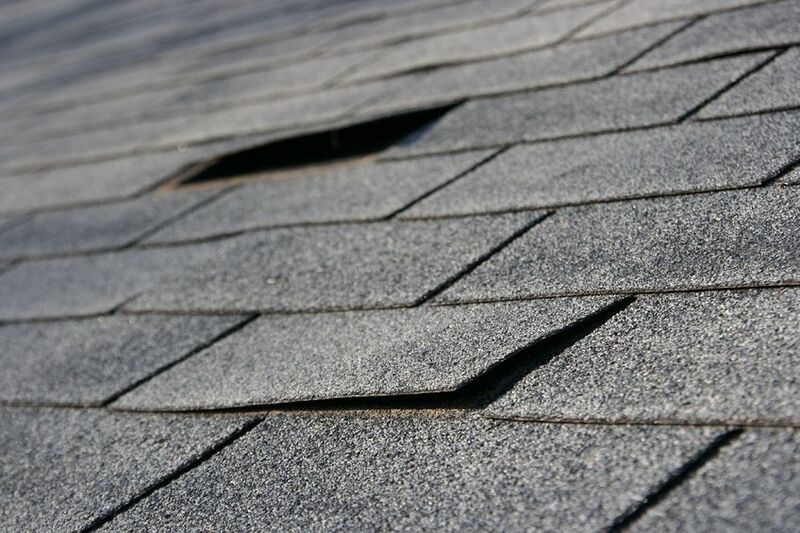 If the roof inspection reveals torn or uplifting shingles, prudent owners will call immediately a professional roofer to take a closer look and do the necessary repairs, before water gets the chance to infiltrate under the roof. 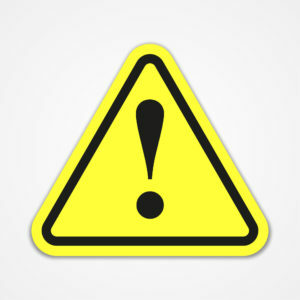 If the water actually penetrates the roof, you are into a serious problem because it will start its destructive process and the roof will become more and more vulnerable, so do not ignore the emergency when you see it! In case of roof penetrations – which are the most serious problems that owners might face – the damaged area must be covered immediately. If it is too big to be repaired, you must consider installing a new roof. Another emergency situation that requires immediate repairs/ replacements is broken gutters. If the gutters cannot collect the water from the roof and evacuate it properly, water will infiltrate in the house`s structure. Despite irrefutable scientific evidence that shows the dangers of asbestos, two million tons of this carcinogenic material are exported every year to the developing world, where it is often used without regard to any law. Asbestos has excellent insulation properties, therefore it has been widely used for many years in constructions, but it has been banned worldwide because it turned to be damaging to human health. Specialists discovered that inhaled asbestos fibers can cause various types of cancer. Diseases are triggered with delay after exposure to asbestos. Inhalation of the fibers causes a pulmonary medical condition known in medicine as “asbestosis”, which increases the risk of lung cancer up to six times. Moreover, exposure to asbestos may increase the risk of cancer of the upper respiratory tract, esophagus and kidney. If these health hazards were not present, asbestos would have been the best thermal and sound insulator, being also durable (the word “asbestos” originates from ancient Greek and means “durable”). Fortunately, companies have developed a replacement – a non-asbestos thermal insulation board made of non-asbestos-bonded mineral fibers and united with a binder. 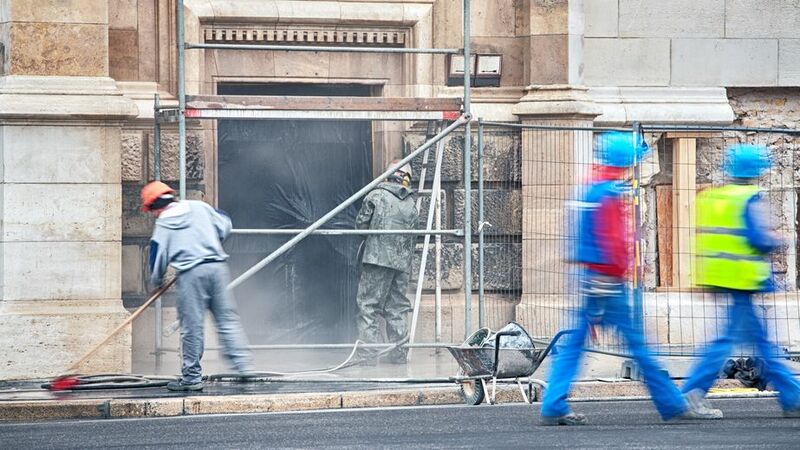 Be sure to hire superior workmanship for masonry restoration projects and other exterior projects when dealing with asbestos abatement. A pressure washer is an indispensable accessory for homeowners, which can be used to clean dust and dirt even from the most hidden dugouts. What surfaces can you clean with a pressure washer? – You can wash the paved alleys from the yard quickly and without headaches, especially dirt and deposits between cracks. Last but not least, with a pressure washer you can clean the facade of a house. Besides dirt, the facades are also exposed to moisture, which favors the growth of mold and muscles. Pressure water cleaning can be performed with the help of a detergent and followed by a mold removal treatment. 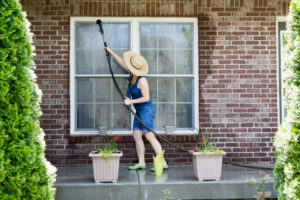 If your home’s siding needs repaired, be sure to get the help of a Connecticut masonry expert prior to any cleaning being done with a pressure washer. Very dirty facades indicate that they have not been maintained properly. Cleaning them with a pressure washer is often enough to refresh them, if the siding material allows, but if you notice other problems after cleaning, then you most likely need to consider some repairs. Choosing the right cover materials for your roof is an important decision. There are plenty of options, but some materials are more resistant and more expensive than others, some are suitable for particular climates etc., so you must be very well informed. A strong roof is made of strong materials, properly installed by specialists. Attractive and natural, slate is one of the most durable roof cover materials, ensuring many decades of effective protection, in any type of climate and for every type of building. Although it is an expensive choice, the natural appearance, durability and variety of slate shingles make this natural stone an unrivaled option for a roof. The natural beauty and the fact that it lasts for a long time are also two of the most important features that make people choose a slate roof. 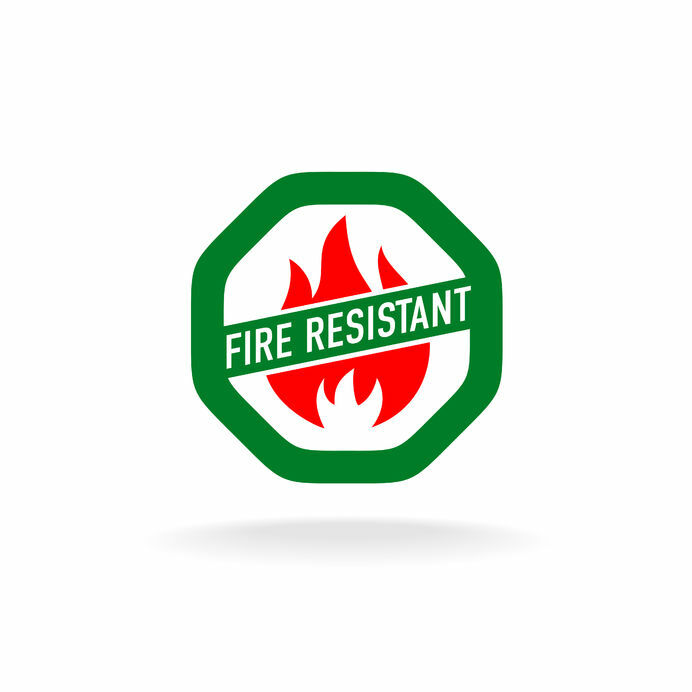 Installed correctly, this material provides fire protection and requires minimal maintenance. Specialists recommend installing slate tiles on a roof with a minimum of 45 degrees pitch that allows rapid evacuation of rainwater and prevents permanent humidity that causes so much degradation over time. Slate shingles do not rot and are not attacked by insects; they can withstand any weather and preserve their original color. Slate shingles are also recyclable. For more on roofing and roofing products, visit http://www.nemasonry.com/new-england-roofing. We recommend that you always install appropriate and functional safety accessories on the roof, during restorations. 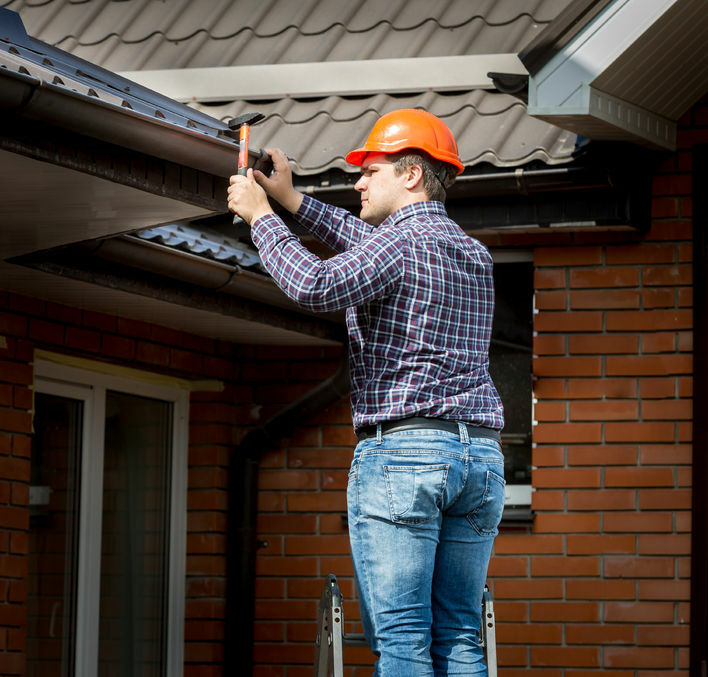 Roof maintenance can be done in optimal conditions only when you have all the necessary safety equipment installed on the house: stairs, walkways, harnesses, safety railing systems, skylight screens and other fall arrest products. Check all the safety accessories mounted on the roof and make sure they are in good condition and securely fastened. They must be tested before using them. Do not neglect this aspect and always remember that these safety products have the role of protecting you and the roof, but also the other workers and people who live in that house. Besides all these, you also have to take into account a few other aspects. First, any roof restoration project requires a procedure to safely collect and remove debris. 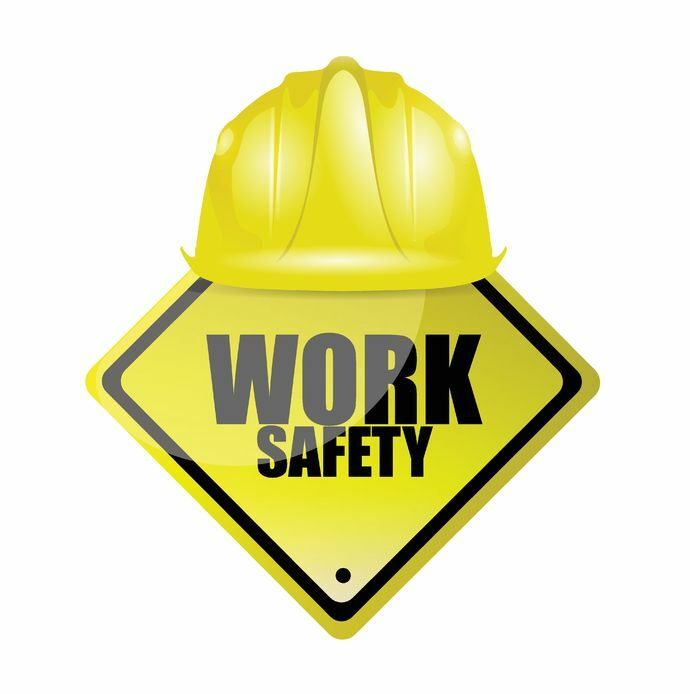 Also, make sure that you make all the necessary arrangements to seal the working site in order to prevent accidents due to objects falling from the roof, dust and noise pollution. 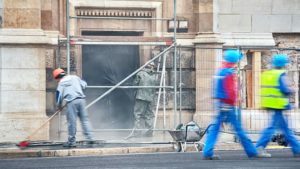 A properly planned building restoration project will help you avoid and prevent most of the problems, as well as minimizing the negative consequences of an accident. Not all of us are construction engineers or architects, but if we own a home or business, we must be at least informed and responsible users, to avoid serious problems that may arise from lack of proper maintenance. As we just got out of the cold season and it is well known that winter may affect the roof in particular, we must consider inspecting it in order to detect every possible damage, or schedule regular maintenance with a commercial roofing CT contractor. Here is a list of the most important aspects that you need to check and that will probably require small repairs or maintenance work, which we advise you to consider doing immediately so that you can have a calm and trouble-free spring and summer. Perform a visual inspection first. Regardless of the type of the roof cover (fiber cement boards, asphalt shingles, metal shingles, concrete ceramic tiles etc. ), make sure all the elements are still firmly fixed and replace those that are damaged or missing. Check the chimney, air vents, skylights and the flashing around them. If you notice some potential problems, talk to a specialist urgently, for a correct evaluation. Clean the gutters and downspouts. Remove any debris that may obstruct water evacuation (dry leaves, twigs etc.). If necessary, repair any cracks. Ensure that gutters are well aligned and still securely fastened. Recent studies argument that one of the main culprits of lung cancer is asbestos. Asbestos has been extensively used, in the 20th century, to manufacture thousands of products, including textiles, building materials, insulations, or brake linings. 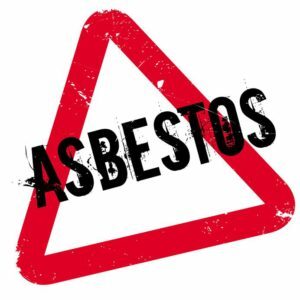 Few people know that asbestos has dangerous compounds; therefore, many buildings are still covered with this material, because it provides thermal insulation, and those who live in those buildings have no idea what risks they are exposed to. Many of the building restoration experts know what to look for, but the common homeowner does not. Studies have shown that exposure to asbestos increases the risk of lung cancer up to six times, and it may also affect the upper respiratory tract, esophagus and kidneys. The categories of workers most exposed to this risk factor are constructors, installers, metallurgists, auto mechanics and locksmiths. The evolution of the diseases generated by exposure to asbestos is slow; in some cases, there may be even 10-20 years of no-symptomatic evolution, until something strikes. There are also situations when, due to massive exposure, asbestos intoxication occurs in a short time. This was noticed in many people who participated in the evacuation operations following the attack of the twin towers – New York, September 11, 2001. Inhalation of asbestos dust causes a pulmonary condition known as “asbestosis”. Working at height means working in any place where, unless safety measures are taken, a person may fall and the consequences may be injuries or death. 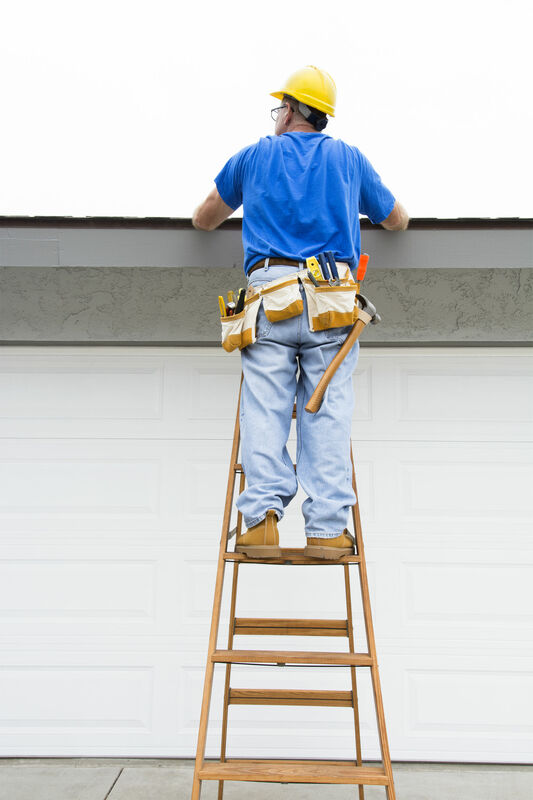 Falling from height is one of the most frequent working accidents among roofers. The most common causes include dropping from ladders and frail roofs, as well as slipping on the roof. In the process of avoiding and minimizing risks, information is always the first step. Positioning – involves supportive equipment that helps the roofers work safely, in certain positions necessary to reach different areas of the roof. For safety purposes, it is best to call the professionals at http://www.nemasonry.com to do the exterior projects of your home or business. 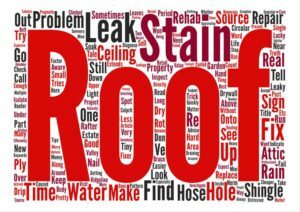 If you notice a water leak on your ceiling, the first logical step is to try to determine its source. In most of the cases, it is related to a faulty roof, but you should not neglect other possibilities either (leaking pipes, for example). Once you have determined it is a roof problem, you must do your best trying to identify the exact place where it originates, which means finding that weak spot in your roof that may not always be visible. However, there are some roof elements prone to damage and causing water leaks, so you should probably start with them: look for any kind of signs of wear and tear around vents and other additions, such as chimneys and skylights. They penetrate the roof and require the installation of membranes and flashing to prevent water infiltrations, but these materials are not infallible either. 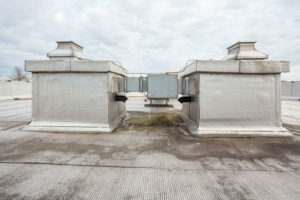 The Connecticut commercial roofing professionals should be contacted, as it can be much harder to pinpoint a leak on a commercial building. Make a flood test. For this, you need a garden hose and some soluble dye, plus the safety equipment to climb the roof. Add the dye to the water and use it to flood your roof, then go to the attic (or have someone else to stay there) and identify the precise location where the water comes in. Existing on the market since ancient times, the classic materials such as stone and brick have long been the choice of those who wanted to build a home. However, life has evolved and people invented new building materials to meet the increased need for thermal comfort and low energy consumption. Today, options are increasingly various. An example in this regard is autoclaved cellular concrete, also known as autoclaved aerated concrete, or simply porous concrete. It is a modern building material, which has already been used for over 80 years in both residential and commercial construction. The advantages of this building material are numerous (excellent thermal insulation, fire resistance, durability), which make it more and more popular for single and multi-family homes. Autoclaved cellular concrete is environmentally friendly, lightweight and it has the fire-resistance of brick. It is made from natural materials: sand, lime, cement and water. Other qualities include excellent thermal and acoustic insulation and ability to regulate the level of indoor humidity and avoid mold formation. Unlike other masonry materials, autoclaved cellular concrete can eliminate the need for additional insulating products, considering that it has the lowest thermal conductivity values, among masonry materials. The building restoration experts with New England Masonry and Restoration are a great source of product knowledge. Getting your roof ready for spring means, first of all, cleaning debris and checking for broken or missing tiles, as well as for damaged or clogged gutters. Cleaning the roof and making small repairs after the winter season will increase its lifetime and lift some worries from your shoulders. Any accumulation of leaves and pine needles, which is significant enough to retain moisture on the roof, needs to be removed. Such debris do not only retain moisture but also prevents water from flowing down the roof, by blocking the gutters. How to fix this problem: use a plastic rake, a sweeping brush with a tilted tail or air blowers. In general, pressure washers are too strong for most roofing types and water makes the roof slippery and dangerous. Always remember to reduce the pressure, in order to avoid damaging the roof. You can prevent debris accumulation by toileting the trees that have branches hanging over the roof. Another problem is the moss formation on the tiles. The moss has shallow roots and requires a constant source of moisture to survive, – and we all know that the moisture and the roof are not compatible. Luckily, it can be easily removed with a long tail brush, or simply washed away with a garden hose. To prevent moss build-up, install zinc strips along the ridge. The rain that drips over zinc forms zinc oxide, which will flow over the moss and kill it. Copper strips are also efficient and durable. To have one of the best professionals in roofing come out and take care of your home’s roof, call on http://www.nemasonry.com/new-england-roofing. Gutter guards prevent not only the gutters, but the entire home – clogging is dangerous not only for the gutter, but for the wall that the gutter is in contact with, they can prevent you from having to call a masonry restoration Connecticut contractor later down the road. Gutters that cannot direct water away from the building can cause lots of damage, including basement flooding and insect attacks, so keeping the gutter debris-free is essential for preserving the health of the entire building. 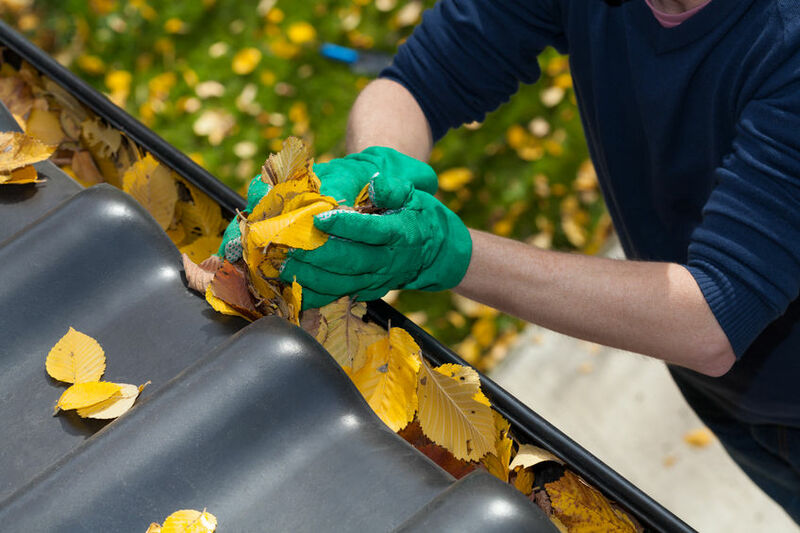 Reduced gutter maintenance – normally, gutters need to be inspected and cleaned at least twice a year, once after winter and once before winter. With leaf guards, gutter pipes become much easier to clean and the interval the gutter can go without cleaning is also extended. More security during the winter as well – leaf guards prevent the accumulation of ice inside the gutter pipes, so they make sure water doesn’t get trapped in your gutters. 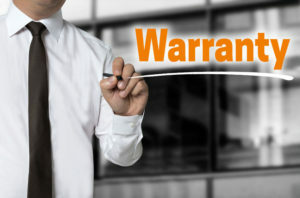 Warranty – the longer the warranty offered on the shingles, the higher the quality of the products, so make sure you find out exactly how much warranty you get with your shingles and on what conditions. Shingle quality – warranty is not the only parameter that determines quality, so try to find out as much as you can about the product you want to use. Read the posts published by roofers on forums, check the product descriptions offered by the manufacturer and find out as much as you can about technical aspects. Customer service – it is very important to choose a manufacturer that you can rely on for product-related information, so try to find out about the manufacturer’s customer service policy as well. Delivery – roofing shingles are lightweight, but even so, they are not easy to handle, unless you are a commercial roofing Connecticut that knows how to deliver, especially if your order is large. Find out about the manufacturer’s delivery policy before you order your products – some companies offer free delivery for orders that exceed a certain volume, so find out whether your order qualifies. 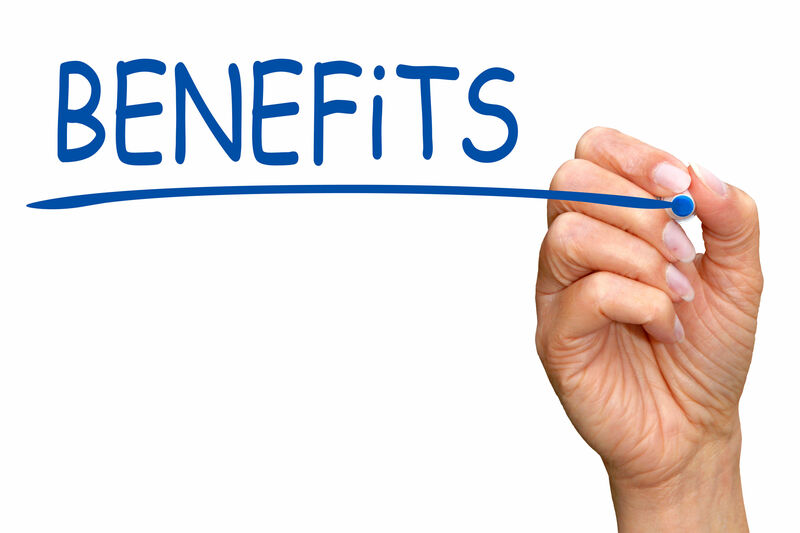 The coverage provided – many insurers offer a large portfolio of products, but most companies specialize in certain types of coverage and have only recently added the product that you are looking for. 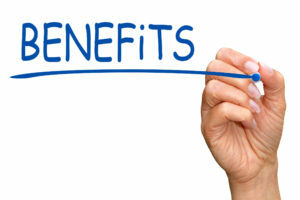 Try to find out how experienced the insurer is in providing the type of policy that you need. Insurer profile – the next step in determining the quality of an insurance company is by looking at their financial situation, their licenses, certificates and their track record of complaints and rejected claims. For instance, you want an insurance company that knows and communicates well with the local commercial roofing CT company that ensures your roof is safe. There are lots of review websites where you can find out about these aspects and you can also rely on forums where individuals share their experiences. 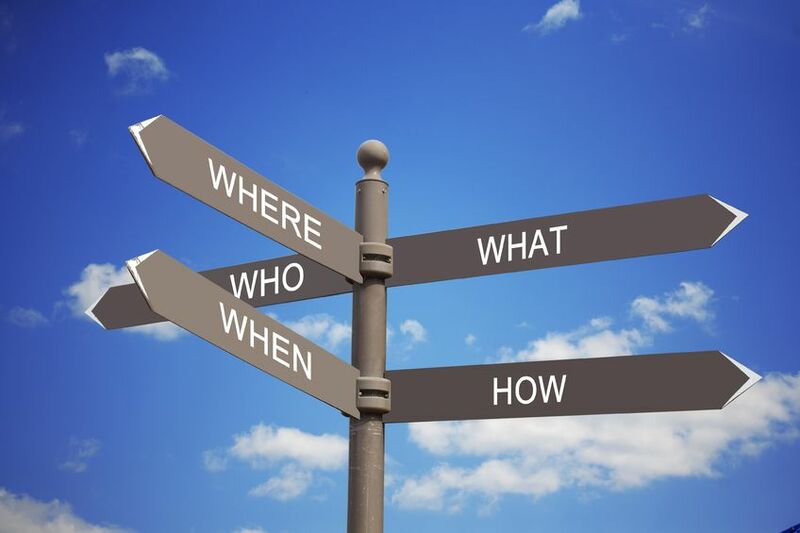 Getting help – if you feel overwhelmed by the process of identifying the insurer that is the best for you, you can turn to an insurance broker who will present you several options and will help you select the best insurer as well as the best policy. Prevent damage caused by frozen water – when temperatures outside drop, water freezes and turns into ice. When ice accumulates in tight places, such as hoses, sprinklers or faucets, the build-up can cause serious damage, so one of the first and most important things to do before winter sets in is to drain the water from your outdoor appliances. Check the heating – test your entire heating system before winter. 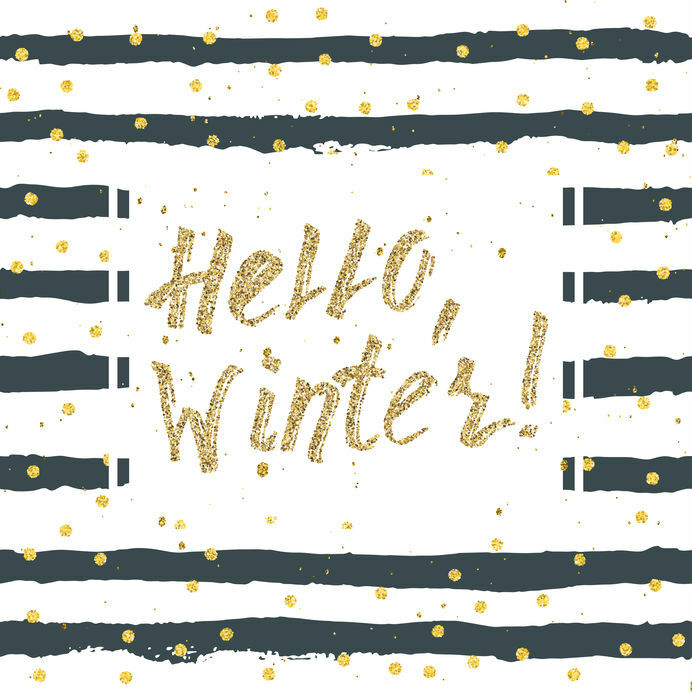 Check the heat pump, the furnace, the heaters and make sure all the issues are fixed before the weather turns cold. Preparing the roof – make sure the roof is clean before the first snow comes. A clean roof performs better even with a thick layer of snow on top. 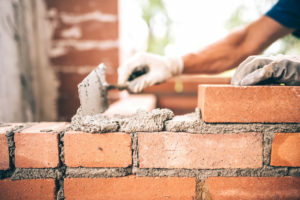 Also make sure you a highly skilled Connecticut masonry professional out to make sure no repairs are needed before the cold hits. Preparing the gutters – the same goes for clean gutters as well. Clean gutters can hold the weight of the snow without getting damaged and they can also direct melted snow away from the walls more efficiently. Low maintenance needs – you might want to refresh the appearance every now and then by repainting the surface of the panels, but other than that, composite panels need very little attention. They assist the property owner during the negotiations with the insurance company. 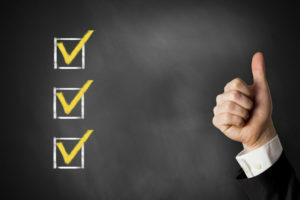 Most adjusters work on a contingency basis, which means that they get paid only if they obtain a compensation and their fees are calculated as a percentage of the compensation obtained, so if you hire an adjuster, you don’t need to worry about having to pay high fees out of your pocket. Metal – metal shingles are lightweight and resistant to moisture, heat and fires. Another feature that makes metal shingles so popular is easy installation – a metal roof can be put up very quickly, even without removing the old roof. All three are great roofing choices and can be installed by a locally owned commercial roofing Connecticut company. Roofing flashing is a relatively small, but extremely important part of any roof. It consists of pieces of material installed in roof areas where two roof parts are joined and its role is to strengthen and to waterproof the area weakened by the discontinuity caused by the joining process. Flashing is used on all types of roofs – whether you have shingle roof or tile, metal or membrane roofing, you need flashing around chimneys, skylights and other types of inserts as well. Roofing flashing needs to provide superior protection in the area of application, therefore it is made from impervious, corrosion resistant material, such as special metal alloys, usually galvanized steel copper aluminum or rubberized asphalt. Flashing installation requires special knowledge, so it is recommended to hire an expert commercial roofing CT professional for the task. The installation method varies depending on the peculiarities of the area where the flashing will be fixed, but the process usually involves the usage of special adhesives and professional tools. Flashing installation is obviously done on the roof and many of the adhesives need to be melted before being used, so flashing installation requires not only expertise, but special safety measures, such as the usage of safety equipment, protective garments and non-slip shoes as well. 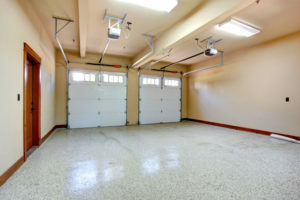 When it comes to garages, durable floor protection and increased resistance to wear (mechanical, thermal, freeze-thaw, chemicals etc.) is more than important for the longevity of the concrete. 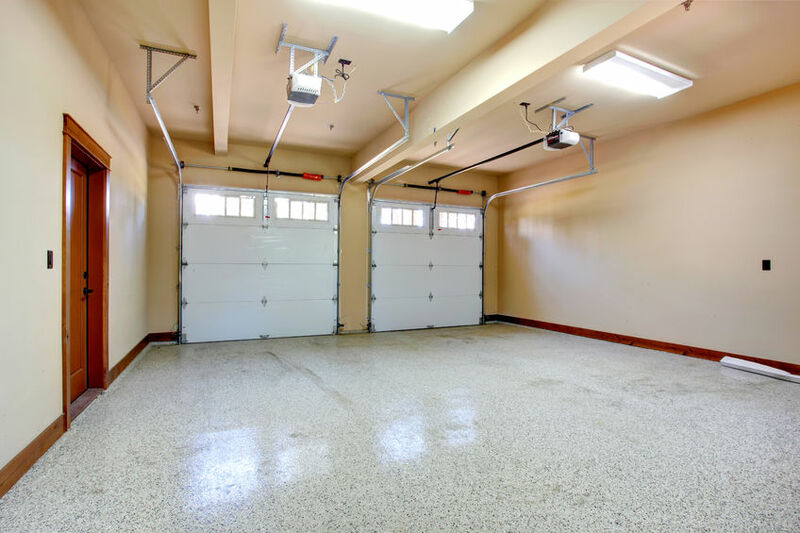 Epoxy floors are modern systems, suitable for any type of garage, due to the special properties that differentiate them from other finishes solutions. Made of high-quality epoxy resin, these products have proved their worth, resisting in various conditions, which definitely recommends them as one of the best finishes for private garages. Epoxy paint can be applied in just a few days, over concrete, cement and other materials. The wonderful Connecticut masonry folks at New England Masonry and Restoration do a quality job like no other in the area. One of the most common mistakes that construction companies do during the recruiting process is relying on poor interviewing skills. Check the skills of your candidates and determine if they match the job requirements, definitely in the area of precise and detailed masonry restoration contractors. Not least, make sure to verify their work history. 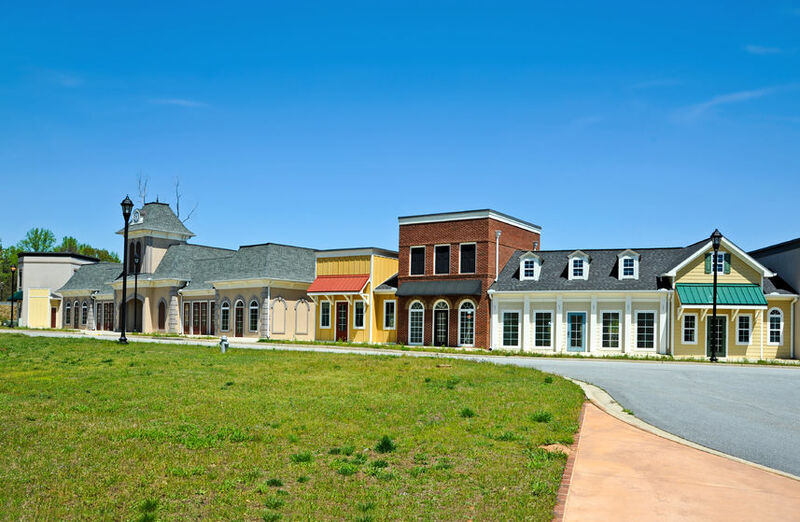 Modular construction is also known as prefab or offsite construction and is anything but new. 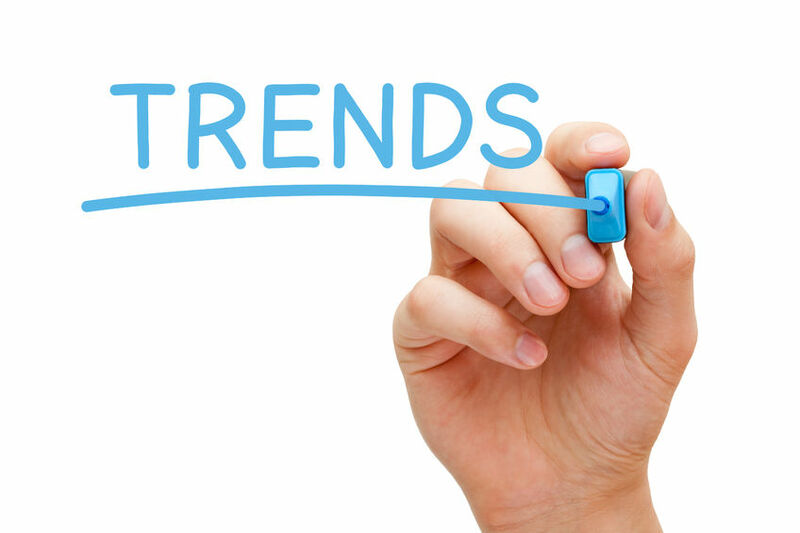 However, its advantages are being rediscovered, transforming the modular construction concept into a new trend. Different building elements are created in a factory and then transported to the construction site, where they are assembled to create the building itself. 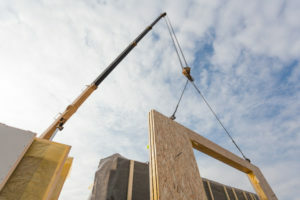 Some modules arrive on a job site up to 80-90% completed, which reduces the amount of work performed on the job site, as well as vehicular traffic, security and disruption. Surely, every contractor tries to condense the schedule and save costs; with modular construction, this becomes easy. It encourages designers to be more efficient and reduces delays, enables architects, detailed building restoration specialists and others to work together and maintains quality control. The design is flexible, which makes modular construction suitable for bigger or smaller projects, from residential to commercial and even industrial (being an efficient solution for the problems related to the lack of on-site storage). Modular construction is also sustainable. We can talk about an improved environmental impact, due to several factors: modular construction is built in a controlled environment, which inherently means less waste. Not least, we must mention that, besides all the other advantages, modular construction comes with flexible and affordable financial arrangements. 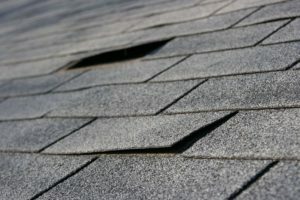 If you have roofing that uses rigid materials such as tiles, check for chipped parts and cracks. Be very meticulous because even the tiniest hairline crack can let water through, causing water damage or leaks in the roofing structure. 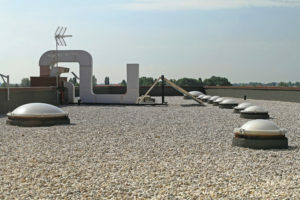 For commercial building, be sure to hire commercial roofing Connecticut specialists to do the inspection for you. Quick and easy installation – metal roofing can be easily fixed on top of the existing roof and it does not need an expert to install them. New windows might seem expensive, but you don’t have to pay the entire price – you can check your possibilities to apply for a federal tax credit to reduce the financial burden of installing, energy-efficient windows on your home. Composite shingles – made from various materials such as rubber compounds or resins, composite shingles carry the longest warranties of all shingle varieties. They are very popular because they efficiently replicate natural materials that are much more expensive such as slate, other varieties of stone or wood. If you’re visiting New England this summer, you’ll find there are a lot of great things to do without having to travel too far. This diverse area is ripe with everything from lakes, water parks and natural hiking trails, to unique venues, lighthouses, food festivals and much more. Pay attention to the communities here too, as amazing work from local commercial roofing Connecticut experts show off their talent. Cotton candy, arcade fun and a relaxing day at the beach are just some of the things you can enjoy while touring some of the most happening boardwalks of New England. Hampton Beach in New Hampshire is considered the best, but make sure to also visit Salisbury Beach for a truly unique experience. Your New England summer will not be complete without a fun and exciting hiking trip. Trails like those along the Camel’s Hump or Mount Washington will show you the full splendor of New England’s stunning landscapes. Waterplace Park in downtown Providence should definitely be one of the first places you visit in New England. Created by Barnaby Evans, an award-winning sculptor, this masterpiece is comprised by more than 100 bonfires blazing just above the three rivers that pass through Providence. There are many other exciting places to visit and things to do in New England that you should definitely consider. Fishing along the local lakes and sea coasts, water rafting in Maine, or visiting the soothing waterfalls of New Hampshire are among the other activities that will make your summer truly memorable. Choosing the best place to live isn’t always just about the infrastructure, how many restaurants serve great food or how good the school system is. 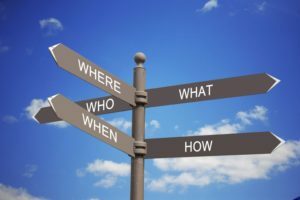 Although all these are important factors, you’ll find that, when moving to Connecticut, the importance of buying a house in a friendly and lively family-supporting environment cannot be emphasized enough. This is one of the friendliest and most diverse towns in Connecticut. Old Greenwich is peaceful, friendly and close to the beach. Best of all, the town is deemed extremely safe, fabulous masonry restoration services too, so it’s a great place to move to with your entire family. Whether you’re more interested in fashionable clothes or in having a good old fashioned American barbecue, you’ll find everything you need here. Weatogue is the perfect place to move to if you want to enjoy a quiet and peaceful walk in the woods followed by a delicious meal at the local restaurant. A quiet urban community perfect for family life and filled with beautiful parks and soccer fields, Weatogue is one of the few towns with genuinely helpful school programs and where the local neighborhoods are all friendly, inviting and free of crime. New Canaan is quite possibly the perfect place for raising a family. Here you can relax and enjoy the tranquility and diversity that Connecticut is known for, while also enjoying a somewhat more upscale lifestyle. From 50s diners to gourmet restaurants, there are plenty of food places to consider. Also, the houses and mansions here are extremely beautiful, the school system is among the best, and New Canaan is close to New York City. Moving to Connecticut is no easy task, especially when you have so many great places to choose from. However, when it comes to selecting the best real estate areas in the region, there are a few that stand out more than any other. There are many areas that have wonderful historic building restoration neighborhoods that should be considered. From the school system to infrastructure, restaurants, food places and clothing stores, South Windsor has just about everything you can hope for. If you want to move with your family to Connecticut, the relaxing family life in this small town will be perfect for you. Avon allows for the same peaceful and relaxing lifestyle associated with South Windsor, but also provides children and students with the opportunity to expand their horizons and target better careers later in life. Students are encouraged to volunteer, join internships and discover their areas of interest more proficiently. Also, there are local service agencies that can help them play a more active role when it comes to civic involvement. Although the median home value is somewhat higher than in the other two areas, Simsbury is considered to be one of the very best places to live in Connecticut – especially if you have a family with young children. The schools here are outstanding, and the crime rate is very low. Moreover, most of the people who recently moved here were pleasantly surprised by the friendly and inviting community of this quaint little New England town. The people are engaging, well-educated and helpful. If you’re looking for a trusted school with a good track record, you’ll be happy to learn that Connecticut is in no shortage of prestigious academic establishments. From elementary to high school, you’ll find some of the best rated schools in the country here, and picking one will not be difficult either, not to mention their exteriors are, bar none in the commercial roofing Connecticut industry too! Know what you’re looking for. Are you interested in spending less? Do you want a school that can continue to provide your child with support and high quality education from middle school to high school? What area do you want to move to? All these factors have to be considered before you can pick your school. Pick a school district that has several highly rated schools. The competition between schools is likely to motivate the staff to continue improving the children’s educational experience. Don’t just take their word for it or listen to online reviews. Consider taking a trip to see a few of your top picks, and take your child with you. That way you can make a far more informed decision than just based on the school’s online reputation. The high population density and short distances between school districts in Connecticut should also help you by giving you a broader set of options. The key is to do your research patiently and avoid making rash decisions that could negatively impact your children’s future. Concrete fiber cement siding is a good alternative to other types of siding based on materials such as wood or vinyl. Concrete siding consists in heavy straight boards that must be handled with care by at least two workers. Installing them also require the guidelines provided by the manufacturer, as well as special tools. Siding in general is a very technical process that must be assigned to specialists. First of all, concrete is a cost-effective material that offers a good level of protection as well. It is fire-resistant (class 1A), free of termites, flexible and it can withstand harsh weather conditions, for many years, without decaying. Both vinyl and wood siding require regular maintenance (cleaning, washing…); with concrete siding, maintenance is a task that you can forget about, at least for very long periods. Another advantage is that this type of siding works very well with insulation, which means that it will contribute to a better energy-efficiency. The US Green Building Council also recognizes concrete siding as a durable and sustainable option. These attributes translate into very long warranties (50-years). Look to Connecticut masonry experts for help. The appearance of concrete siding is another aspect that must not be neglected: it can be designed to resemble other materials, it comes in many colors, and it holds painting. Insulation is very important to our houses, because it represents an effective remedy to ensure the thermal comfort and reduce the heat transfer. Another reason why we need it is an economical one: poorly isolated houses tend to have very expensive energy bills, and isolation comes as a solution for money savings in the long run. 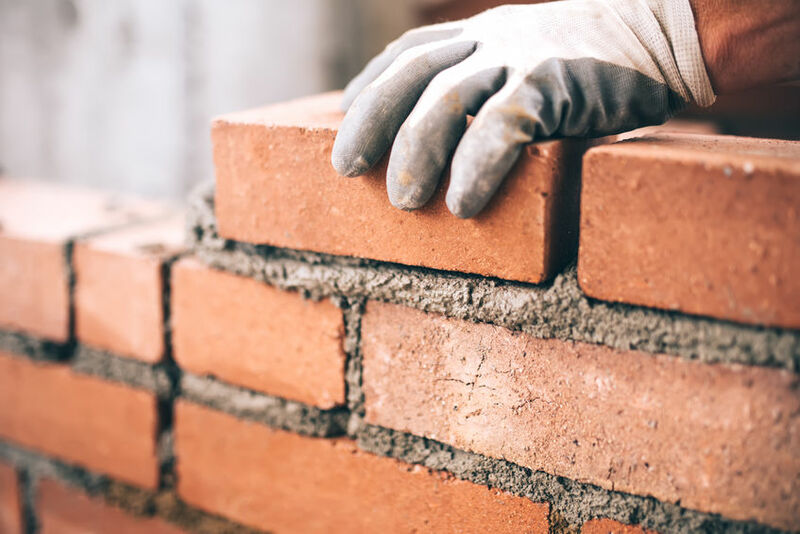 Make sure to hire great masonry restoration experts to fix any holes on the exterior of your home, which helps solidify the insulation to do it’s work. There are many types of insulation and materials; their efficiency is measured precisely by the R-value (the insulation’s resistance to heath transfer). The US Department of Energy provides the recommended R-value for each area of the country; obviously, if the climate stays warm year round, you do not spend so much on energy, so the insulation requirements will be different from those in colder areas. But wherever you are, you should be able to add adequate new insulation or make effective upgrades to the existing level of insulation. Insulation can be interior or exterior and may be added to the attic or to the walls. Generally, the attic insulation is 12-15″ thick and must hide all the ceiling joints, in order to be efficient. As about the walls in your house, they need as much insulation as possible, from the floor to the ceiling, wrapped around plumbing, ductwork and electrical boxes. In order to increase the R-value in exterior walls, specialists recommend foam insulation, underneath the siding. 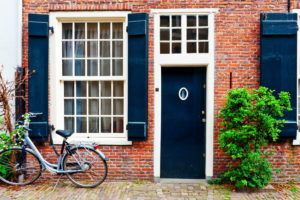 The investments in a house’s infrastructure are the most important in preserving its durability, but the exterior aspect also has a significant impact and should not be neglected. 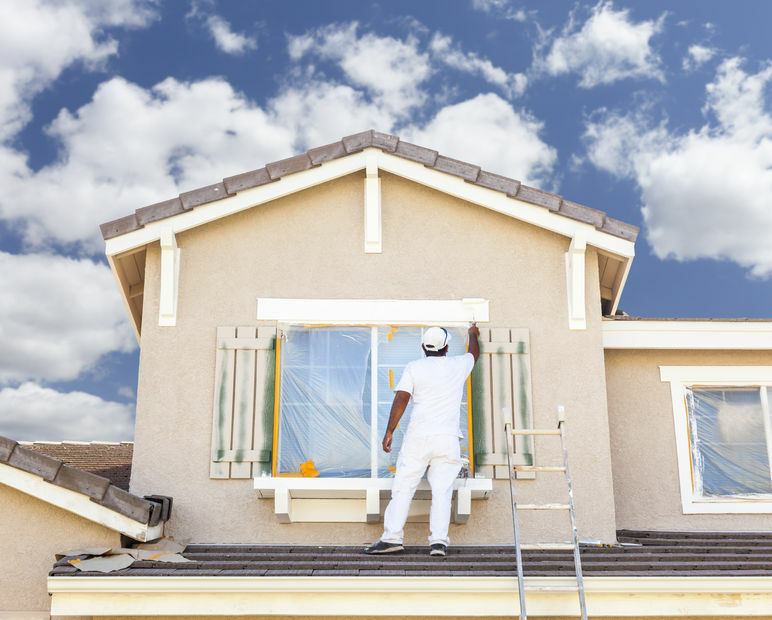 Investing in quality materials for exterior remodeling may translate into a youthful and modern air, no matter how old is the home you live in. Here are some exterior remodeling ideas that will increase the value and the curb appeal of the building. • Repair the old walkway or replace it with a new one made of stone or brick. The effect is guaranteed. Having fabulous building restoration by professional contractors done is one way to guarantee an increase in your home’s value. Every homeowner knows that rain gutters require regular maintenance (removing leaves and other debris), in order to remain fully functional, otherwise, they will fail to accomplish their purpose: keeping the water away from the house and its foundation. Maintenance operations must be performed at least twice a year and, if you are unable to do them yourself, you must take some money out of your pocket and have the gutters cleaned out professionally. The best of the best commercial roofing Connecticut roofers will exclaim! If you are tired of this periodic concern, you should consider installing some type of gutter protection, such as filtering screens, designed to keep debris away from the water. You can find solutions for every budget: from cheap gutter screens to expensive micromesh systems. If your area is prone to bushfires, you should know that there is always the risk that stationary debris catch fire and endanger your house`s integrity; this is one more reason to purchase some form of gutter protection. Gutter screens also keep pests away, so you do not have to worry anymore about insects that make your gutters home. Using natural materials – as the demand for environment-friendly, green and passive buildings increases, houses made from sustainable natural materials such as homes built from logs or from natural stone are becoming more and more popular, or simply using product that lasts a lifetime with the help of skilled Connecticut masonry companies. Outdoor living – while in the past, outdoor spaces around the house were taken up by patios, backyards and the occasional grill, the latest trends extended indoor functionality outdoors in areas where climate conditions are suitable for such an approach. Outdoor kitchens are already very popular and outdoor rooms are catching up quickly, too. Look locally – start your search in your neighborhood, then extend it gradually to your town and the region where you live. Check expertise and experience – have a look at the websites operated by local contractors and contact only those that provide exactly the service that you are looking for. 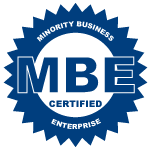 Check qualifications, insurances and certificates, too. Check for specialties like masonry restoration for the most qualified contractor. 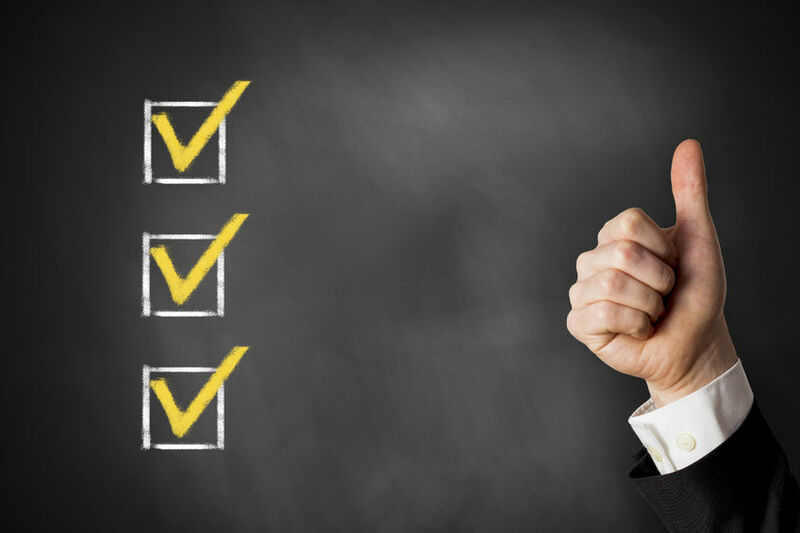 Check reliability – verify the contractor you have in mind on review websites and forums. Request multiple quotes – collect at least three or four quotes for your project from various contractors to get an idea about how much it will cost you. Don’t go with the lowest or the highest offer – make a reasonable choice based more on service quality and reliability than on the price. Bear in mind that the cheapest or the most expensive offers are not necessarily the best, so make sure you evaluate the offers from every aspect before committing to one contractor or the other. The architectural heritage of Connecticut is certainly among the state’s most important attractions – wherever you go in the state, you will see amazing constructions preserved in their original forms and open for the interested public. 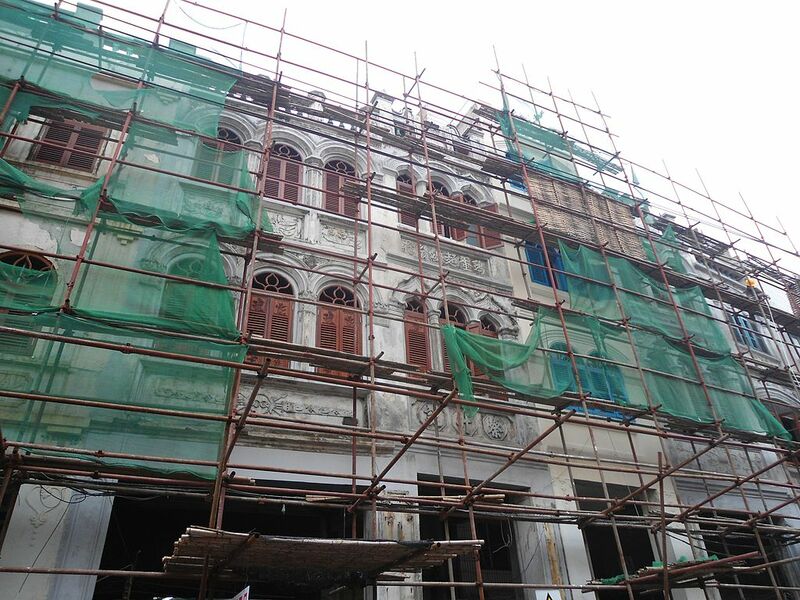 There is always building restoration experts hard at work to preserve the historic buildings. In Litchfield you can visit the state’s first historic district. Painter and sculptor Frederic Remington lived in Fairfield county, in Ridgefield. If you like Gothic architecture, you will also find a lot of monuments to visit in Connecticut – Fairfield, Windham and Hartford have lots of beautiful Gothic buildings. Single-ply membrane – made from various materials such as PVC, TPO or EPDM, roofing membranes are easy to install, lightweight, flexible, therefore suitable for unconventional roof structures and they come with superior heat-reflection properties, especially light-colored varieties. 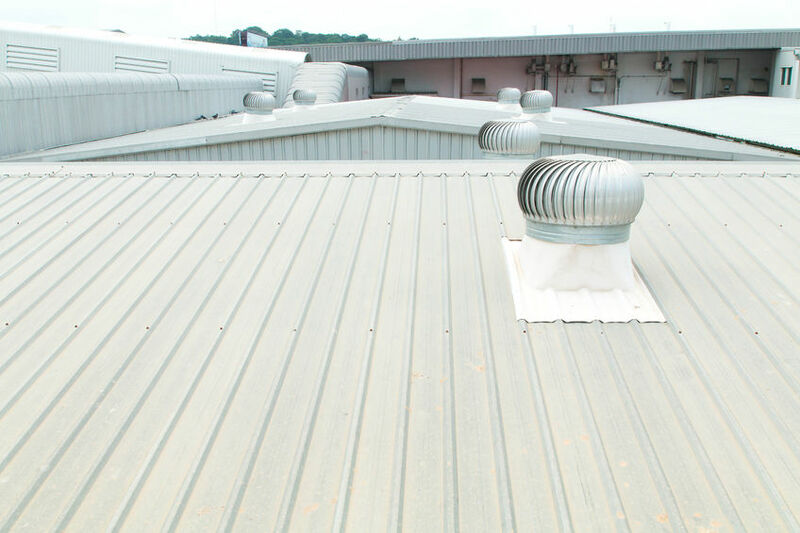 Metal – tin, aluminum, copper and steel roofing sheets are also gaining in popularity these days due to their resistance, durability, low maintenance needs. They are also very quick and easy to install. Asphalt shingles are also great for commercial roofs and are the most chosen by commercial roofing Connecticut companies – the shingles can be easily adapted to any shape and angle, they are available in many different colors and shapes, they are resistant to impact, fire and wind and they are very affordable, too. Bitumen roofs – one of the most traditional roofing materials, bitumen sheets have a proven track record of being resistant and durable. The high-tensile strength of the material makes sure the surface does not crack and bitumen can withstand even the harshest weather as well. Home restoration is usually a stressful and tedious process. However, it doesn’t have to be that overwhelming – just have a look at our home restoration ideas, we put them together in hope of making it all easier for you. Don’t buy cheap materials of sub-par quality, but don’t go overboard either – the golden middle way is the best. The price of construction materials, tools and furniture vary widely, so do a little online research to find out how much the renovation will cost you. You will need to measure everything to be able to calculate the quantity of the materials you will be using for the renovation. If you find the calculations difficult to do, consult an expert – better pay for consultancy than for materials you don’t need. Home restoration is not only about building and installing new materials – it is also about tearing down walls, removing debris, cleaning, preparing surfaces and many other tedious tasks. Make sure the space you will be renovating is properly prepared for the renovation – it’s tiring, but it’s worth it. To be able to do a great job you definitely need the right tools. Assess your tool-related needs based on the operations you will need to perform and make sure you buy the best tools you can afford – they make all the difference. There is nothing worse than realizing that you need another source of light over the sink when the backsplash and the cabinet are already installed and the plates all sit nicely on the shelves. Design every process carefully – start with electrical work and plumbing, then move to the floors and the walls and leave the decorative elements and the furniture last, that way you can be sure everything is done the right way. If the renovation also involves large, exterior structural elements such as the roof, the gutters, the sidings or the doors and windows, start with those and move inside only when everything is fixed on the outside. If you are planning large-scale renovation, you will need large quantities of construction materials as well, materials that you will need to be able to store among proper conditions, so make sure you have a shed or a storage container to accommodate your materials. Renovation also generates a lot of debris, even if you want to redo only one small room. Work out a way to collect and to dispose of the accumulated debris – without a solid debris-removal strategy you will find it much harder to contain chaos. 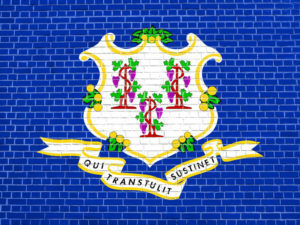 For all things related to building and masonry restoration in Connecticut talk to New England Masonry.